What is Leprosy Day, who initiated it and what inspired him to do so? World Leprosy Day is observed annually on the last Sunday of January. Thus, in the seven years 2017-2023, Leprosy Day will occur on January 29, 28, 27, 26, 31, 30 and 29 respectively. The goal of the day is to raise awareness of the disease and of the right of its victims to be treated with kindness and proper medical care rather than to ostracize them, isolate them from the healthy community and disregard their basic human rights. When leprosy is not treated due to ignorance and shame, it damages and disables, slowly destroying each aspect of a person’s life. Were it not for stigma and misunderstandings about the disease, more and more infected people would seek treatment and all healthcare professionals would recognize its symptoms. Leprosy day was initiated in 1953 by the French writer, philanthropist and social reformer Raoul Follereau (1903-1977), who became an ardent activist for the cause of the leprosy- infected after encountering and being appalled by the total segregation and deprivation of basic human rights suffered by these unfortunate men, women and children. 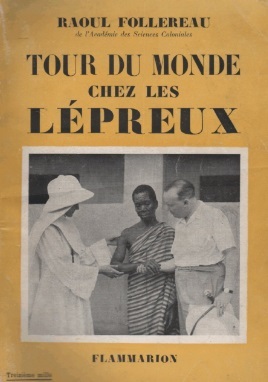 In 1975, following years dedicated to philanthropic activities, Follereau submitted the text of the Universal Declaration of the Rights of the Leprosy Affected Persons to the United Nations. Follereau chose the approximate date in January for Leprosy Day in honor of Mahatma Gandhi, leader of the Indian independence movement in British-ruled India. Gandhi, who was assassinated on January 30 1948, is renowned for his selfless efforts to assist and support the victims who were infected by leprosy. Here is a link to more detailed information about Raoul Follereau and his significant contribution to the relief and cure of leprosy affected persons. 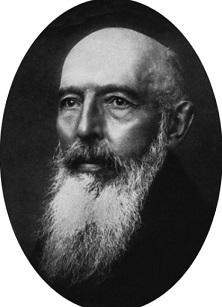 Leprosy, also known as Hansen's disease (named after Gerhard HenrikArmauer, the Norwegian physician who in 1873 first identified the bacterium that causes the disease) is a mildly contagious disease of the skin and nerves that, if left untreated progresses to inflict severe disability, paralysis, blindness, damage to the bones and eventual loss of limbs and other parts of the body. But it is nowadays extinct, isn't it? No, it is not. In 2015, above 210,000 new cases were diagnosed, mainly in countries in which poor hygiene of the population is widespread such as in India, Brazil, Indonesia, Tanzania, Madagascar, Mozambique and other so-called "Third World" countries. The number of persons inflicted with leprosy throughout the world today is estimated at tens of millions. Yes, leprosy is nowadays a curable disease, but early detection is vital since severe damage caused by the disease such as blindness, loss of sensation and loss of limbs cannot generally be undone. Since 1982, a six to twelve month daily combination of antibiotics has been used successfully as a cure for leprosy. According to an article on the subject inWikipedia, leper colonies and houses became widespread in the Middle Ages, particularly in Europe and India. Nowadays, as stated in an article about Leprosy Day published in 2014 by TheLeprosy Mission England and Wales, (an international organization that diagnoses, treats and offers specialist care, including reconstructive surgery, to leprosy patients), there are still leprosy colonies in the world today, 850 of which are in India. Infolep, an international online platform and knowledge center on leprosy and related subjects, has published on the Web an alphabetical list of190 international and national organizations for research, treatment and rehabilitation of leprosy-affected persons. Among them are AIFO (Amici di Raoul Follereau) in Italy, Lepra (an international charity working to transform the lives of people affected by leprosy) in the UK, ALM (American Leprosy Missions) in the USA, Alert-India (Association for Leprosy Education, Rehabilitation and Treatment-India) and many others in the Americas, Europe, Africa, Asia, Australia and New Zealand. The earliest known account of a disease that is believed to be leprosy appears in an Egyptian Papyrus written around 1550 B.C. 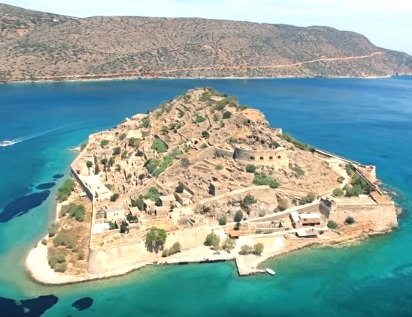 In Europe, leprosy was first reported in the records of ancient Greece around 323 BC, when Alexander the Great returned with his army from India. Later on, leprosy was recorded in Rome in 62 B.C. at the time that Pompeii's troops returned from Asia Minor. In the Bible, the term “leprosy” and derivatives of the term such as lepers and leprous occurs 55 times in the Old Testament and 13 times in the New Testament. However, researchers doubt whether the term is actually about the disease as it is known today or some other harsh skin disorders. Records indicate that the infected were banished and isolated in order to prevent mass infection. · The nine-bandedarmadillo (Dasypus novemcinctus) that is widespread in Florida and much of the Southeastern USA as well as Central and South America can carry the bacteria that cause leprosy and infect humans. · Only 5% of the human population is vulnerable to the bacteria that cause leprosy. · A combination of standard drugs is very effective in curing leprosy. · Just a few doses of medications suffice to make the patient noninfectious and eliminate the need to isolate him or her from family and friends. · The general misconception, even among care providers, that leprosy has been eradicated often causes a delay in the correct diagnosis of the disease. · Early diagnosis prevents nerves from being affected and turns the disease into a minor skin malady. · In 2015, 178 new cases of leprosy were reported in the USA. · 8.9% of all the new, detected cases of leprosy in 2015 were children. · 6.7% of all new leprosy patients in 2015 had Grade 2 disabilities (visible disabilities, damage to hands and feet and severe eyesight impairment), higher than previous years. · New patients with Grade 2 disabilities indicate late detection of leprosy and a lack of awareness of the early signs of leprosy. · Proactive, early detection and treatment of leprosy must be an international priority, to prevent leprosy from being transmitted to children and disabilities to be developed. · Search the Web for Leprosy and read about it in articles published on the Web by organizations such as AIFO, Alert-India, ALM, Lepra or any other site that you may prefer. · Discuss the subject with your friends and try to raise their awareness. · Consider volunteering by contacting an organization such as one of those that are listed in the Infolepwebsite. · Donate any sum that you wish to give.